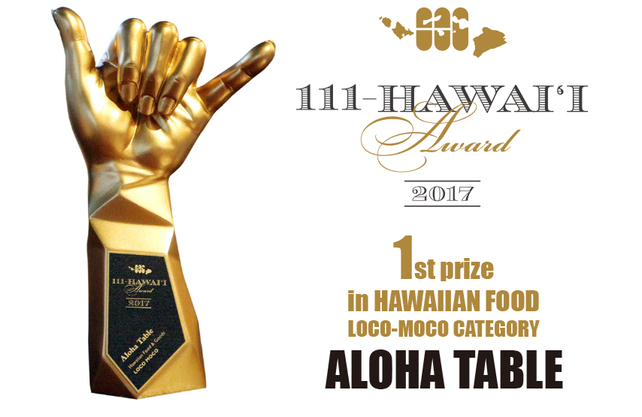 "111-HAWAII AWARD" Hawaiian Food / Loco-moco Category. "Aloha Table Waikiki" was chosen as 1st place! | News | ALOHA TABLE Waikiki - Aloha Table's main store is located on the east side of DFS Galleria along Kalakaua Avenue, the main street of Waikiki.